are determined while one is in the womb. 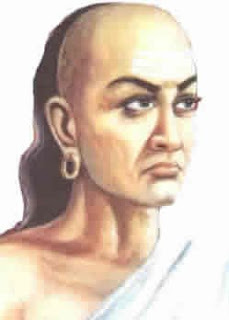 Note: Some thoughts of Chanakya may be offensive to women, or to Hindus born in so-called low caste. I believe in complete equality between man and woman and we detest the Hindu caste system. We have decided to publish his thoughts exactly as written by Acharya Chanakya. We apologize to women, and to anyone else, who may be offended.